Picture the setting; my boyfriend and I had just left the traditional Greek restaurant we had been eating in that evening, and wondered down to a tiny strip of beach just a short walk away. We sat on some drift wood by the shore and watched the most amazing sunset together, and then my partner got down on one knee and proposed to me. It was by far the most spectacular moment of my life, made even more amazing by the beautiful setting he had chosen to pop the question. We were in Corfu, one of the Greek islands, and now that place will be forever in our hearts; a special place we can return year after year for special anniversaries and to show our kids where we got engaged. If you’ve found the person you want to spend the rest of your life with, but aren’t sure how to make it special, then proposing abroad could be a perfect option for you – it worked for us! To give you some inspiration, we’ve listed our top five most romantic holiday destinations for proposals. Ok, so from the introduction you know I’m biased, but Greece really is one of the most fantastic couples holiday destinations. From the superb blue and white buildings in Santorini to the rugged coastline of Corfu, time seems to go slower on the Greek islands. Spend your days indulging in delicious traditional cuisine, dipping into the turquoise sea and enjoying the sunshine, then spend your evenings enjoying more food, wine and awe-inspiring sunsets. One of the world’s most romantic cities, Paris is an obvious choice for couples travel. Stroll around the city to really take in the romantic ambiance, and then plan your proposal with a view of the Eifel Tower at night (it usually twinkles with thousands of lights). You could choose to propose over dinner or drinks at the Four Seasons Hotel George V (pre-book the balcony for amazing views of the Tower), or choose a candle light picnic on one of many well placed hills further outside of Paris. If you and your partner are a bit more adventurous when it comes to travel, then why not consider proposing in Thailand’s capital? 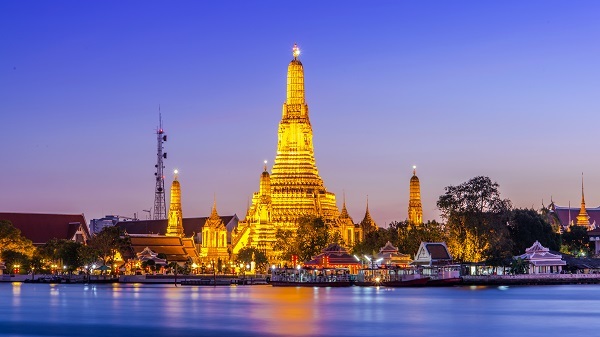 You could take a few weeks to travel all over Thailand, visit some beautiful beaches, soak up the culture and then finish your trip with a few days in Bangkok. There are so many places you could pop the question in Thailand, but our personal favourite is the Vertigo Restaurant – you won’t find better views. 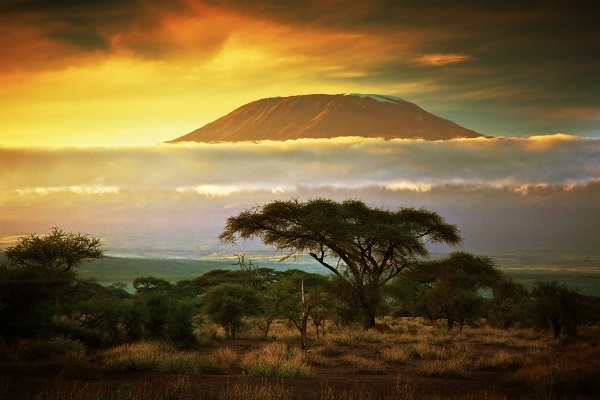 If you want to combine your proposal with a once in a lifetime trip, then consider going for the grand gesture by popping the question in a hot air balloon above the Masai Mara in Kenya. After all, what better way is there to end a holiday of spotting the big five on safari, staying in luxury tree houses and exploring the savannah, than to take a hot air balloon ride and with your sweetheart? Don’t forget, if you are planning on going on Safari, make sure you insurance covers you. Venice is another extremely popular destination for couples; how can you not feel romantic exploring narrow cobbled streets and floating along in gondolas? Pick somewhere with classic and picturesque views (such as St Mark’s Square), or jump in an extra special gonadal ride filled with champagne and propose on the Grand Canal (make sure you find a good gondolier beforehand and pre-plan as much as possible). Now that we’ve inspired you to book that special trip, just remember to invest in quality travel insurance to protect you, your partner and your trip against any unexpected holiday disasters. The last thing you want is to spend time and effort arranging your proposal, only to find that you’re suddenly lumbered with expensive cancellation or medical bills. Visit Holidaysafe for more information on award winning couples travel insurance.